develope a new product, Zamba: fresh fruit juice free of any additives. With the most basic of means, but with an intuitive business sense – and nose(! ), Raths and Schiess successfully build up their fruit juice firm, Zamba. And the new ideas are already brewing…iced tea for grown ups. Soon after, the idea becomes reality. A brand new iced tea production facility starts going up just outside of Zurich, on the edge of woods around the village of Fällanden, and Chaya, the iced tea for the quality-conscious gourmand, gets closer to hitting the market. Iced tea, infused with the richness of tea, botanicals and herbs. Recipes that pamper the discerning palate. A drink that embodies nature’s freshness. Over the years quality standards are raised and refined, culminating in being certified with the swiss organic label Bio Bud. And since fresh ideas require fresh inspiration, Raths and Schiess sell Zamba – now 40 employees strong – to gain new headspace for new creations. Small is beautiful. Chaya’s production is modernised and optimised in terms of hygiene and efficiency. A special brewing process for the teas is developed in-house and Chaya brings in professional quality management. 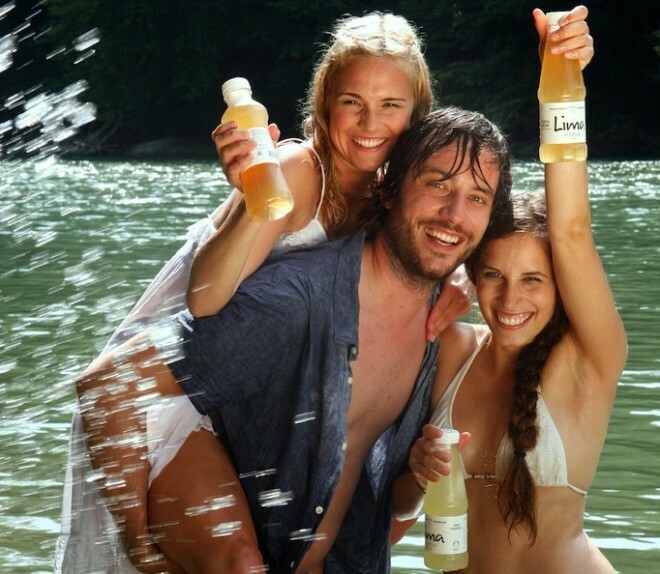 The successful Chaya iced tea is joined by a new line of non-carbonated soft drinks, Lima. The setting for further innovation and invention is set. Top-notch products and superb service – all from a single source. New products that meet our rigorous quality standards will continually be added to the Fresh Drink family.